We may be a little late for some talking points for this month, but there is a whole month of October so that doesn’t mean that we only need to chat at the beginning of it right? As I type this I’m sitting in a coffee shop in the St David’s Shopping Centre before a blogger’s meet and I’ve just wolfed down a Mexican-flavoured soup – and my eyes are streaming. The hours I spent this morning perfecting my make-up and outfit to give the best impression has been all but ruined but damn, that soup tasted good. You need to have been living under a rock to not know who Zoella is. YouTube star, author, bath and body line creator, owner of a perfect boyfriend and guinea pigs and now the header behind a homeware range. The Zoella Lifestyle range has been launched for a few weeks and is appearing in a number of highstreet chains from Debenhams to Boots. I find it a little difficult to track down exactly what the range is but by the looks of it I would say the collection is focused on cosy days with candles, fuzzy socks and diffusers as well as throw pillows and stationary. 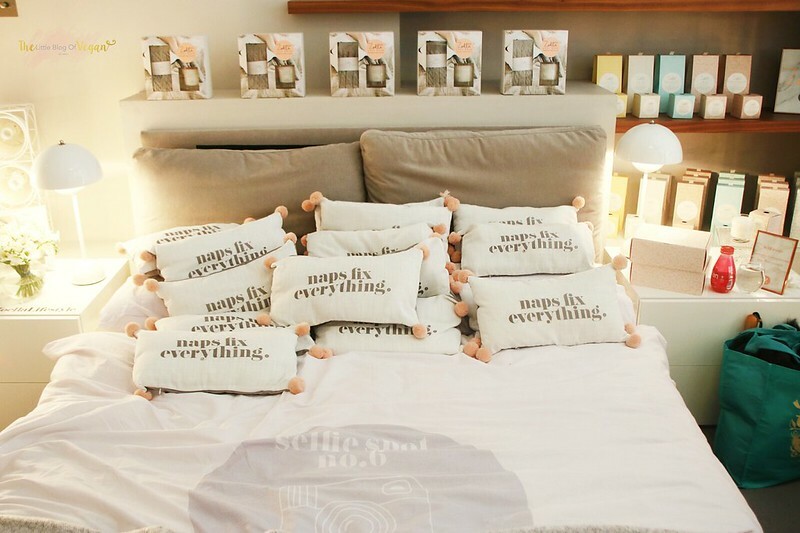 I feel like this collection is trying to please almost everyone because I it seems like even if you’re not on the market for anything specific you’re bound to find maybe a pencil set or pillow to chuck on your sofa that looks cute. I saw an apartment set-up online when the range was announced and I remember thinking how on trend everything looks. There is a real focus on theme throughout all of the products and it kind of feels like a selection of homewares and bits you’d find in your local Primark but I’m not complaining, because Primark have been banging it for months now with their homewares themselves. Tracking the range down is a bit of a faff on because there’s only an official Twitter account not necessarily a website where you can buy everything you want so die-hard fans will have to hunt the shops at the weekend and then beg their parents for the pocket money to invest in their fave pieces. Generally, I think it’s cool and a natural progression for Zoe because her house is gorgeous and she does have a great taste in decoration and furniture so why not – it’s just that I don’t think I will be buying any of it myself. The image used in this post is from the lovely Holly of The Little Blog of Vegan and her post about her experience of the Zoella Apartment that was set-up to promote the range. 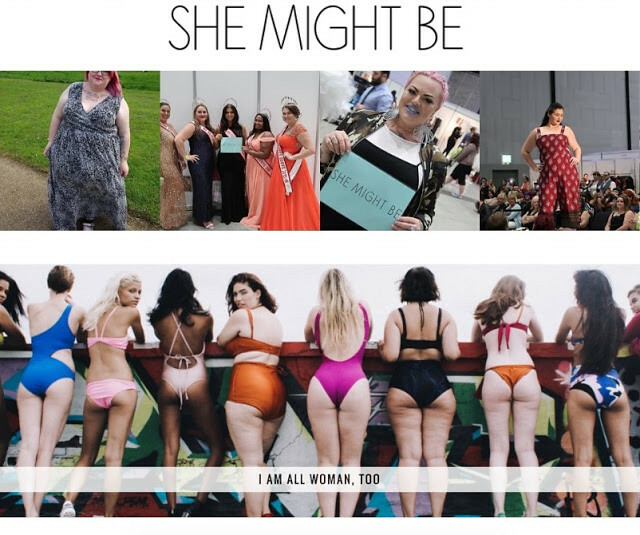 The headline says it all really, but I kind of fell out with it when I wrote because ‘Plus Size’ shouldn’t be a dirty phrase, but that’s what the new online mag She Might Be is all about. I’ve followed Georgina’s blog She Might be Loved for a little while and I’ve come to really enjoy her down to Earth reviews about products. 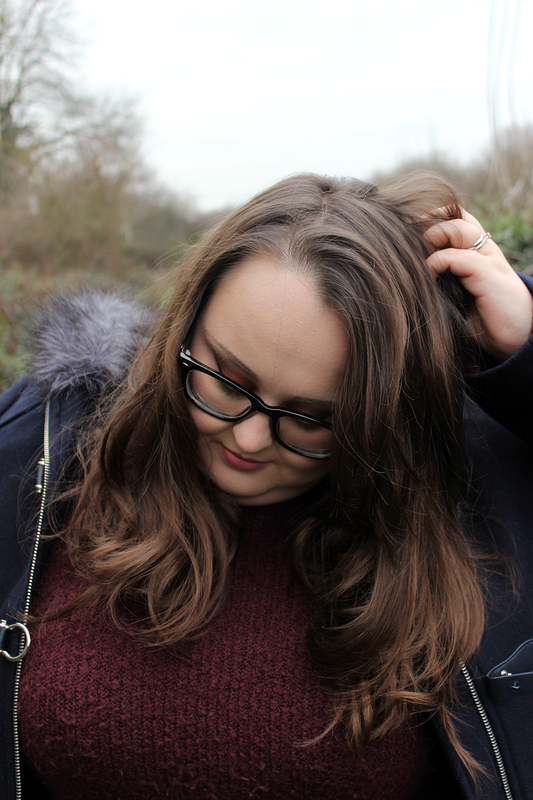 What I really like is a blogger with attitude and Georgina’s got that down, especially because she’s a plus-size blogger and not ashamed to be proud of it so I was over the moon that’s she’d made the move to bring together some other like-minded people to form this magazine. I’ll be honest and say I haven’t had a really thorough look into this online magazine because as someone who often errs within the size 18 and up sections of clothing shops I don’t like to consider myself or anyone plus size and I follow bloggers purely because I think they’re awesome people and I don’t give a crap if their dress size is in mid-twenties. There are some really interesting articles on the website all about body positivity that I’m saving for an afternoon when I have a big mug of tea to curl up with laptop and really read because some of the points do deserve some time for the people who have put so much effort into them. I was thinking the other day about how I haven’t picked up a magazine IRL for years and how I don’t really get a source of home, lifestyle and beauty news apart from from bloggers so I’m all up for this online mag. I’ve already added She Might Be to my fave’s bar for days when I want something different to clamp my eyes on. I follow a fair few disabled bloggers on my feeds because disability is a big part of my life, and even though I’m not willing to talk about it on my own blog – I love to hear stories from other people and Sarah is one those amazing people I’ve been following from the start. 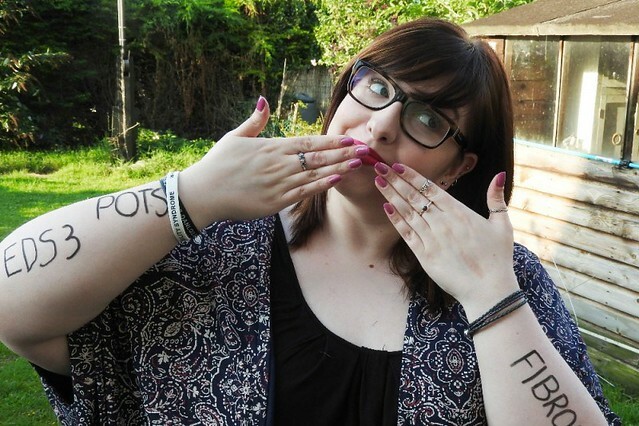 I think Sarah’s onto a winner because that girl knows her social media, she’s been tweeting all over the place about asking us readers to put in a donation – not matter how small – for her new powerchair that she needs for her continued support and comfort as a long-term disabled individual. Equipment like that costs money with a current target at £5000 and I do admit I retweet this every time I see it and make sure I keep going over to her campaign page to see where her total is at. I’m so amazed by the generosity of people so far but we need to keep going to get there for Sarah because the blogging community is amazing I know she will be completely chuffed to bits if we hit that target. Please donate here and follow her on Twitter for updates. So that’s me wrapped up for October. What do you think of the points highlighted here? Let me know in the comments.